Sunday is my half marathon and Monday I am taking a vacation day. TUESDAY I'm going back to low carb and no crap and watching my calories better. Time to stop that weight gain before it gets any worse. I have a lot of excuses BUT they are just that. Excuses. Work went by really quick today. Having a lot to do makes the day go by fast, which is great. After work I went to the grocery store along with half of the population of Modesto. It seemed like everyone was just out for their daily stroll. MOVE OVER PEOPLE, I know what I'm here for and I don't want to stroll through the grocery store. So.many.people. 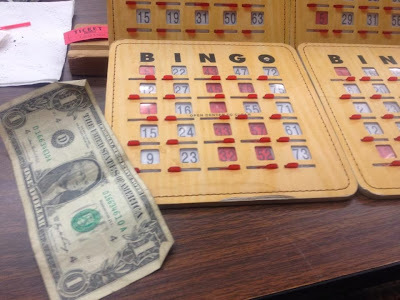 On the way home I noticed it was bingo night so I went down there after dinner. My neighbor was there tonight. He's a HUGE bingo lover. He goes to town and plays at few different halls/centers during the week. I asked him where he was last week and he said that he couldn't make it. Mostly because it would have been his wedding anniversary. His wife passed away a couple years ago. He said he just couldn't do it. His wife Jackie was in my book club, and they live two doors down from us. I always said that you could really tell that they loved each other by the way that they interacted. They'd be sitting next to each other but always touching. Just simple little touches but it was there. Super sweet. He was telling me how he had tried to get rid of her clothes. He said she has 6 closets of clothes! He cleaned out a couple and was going to give some clothes she had bought just before she passed away to a friend of theirs. She had bought the clothes for a cruise that they didn't get to go on. They were really nice and he went to put them in the trunk to give them to their friend but he just couldn't do it. Just couldn't give them away yet. They were together for over 60 years. He said he's 87 years old. You'd never know it by talking to him or looking at him. He's sharp as a tack and could probably pass for early 60's. He still works out in his yard, goes for walks and goes on bus rides to gamble at the Indian casinos. Not to mention the bingo playing. 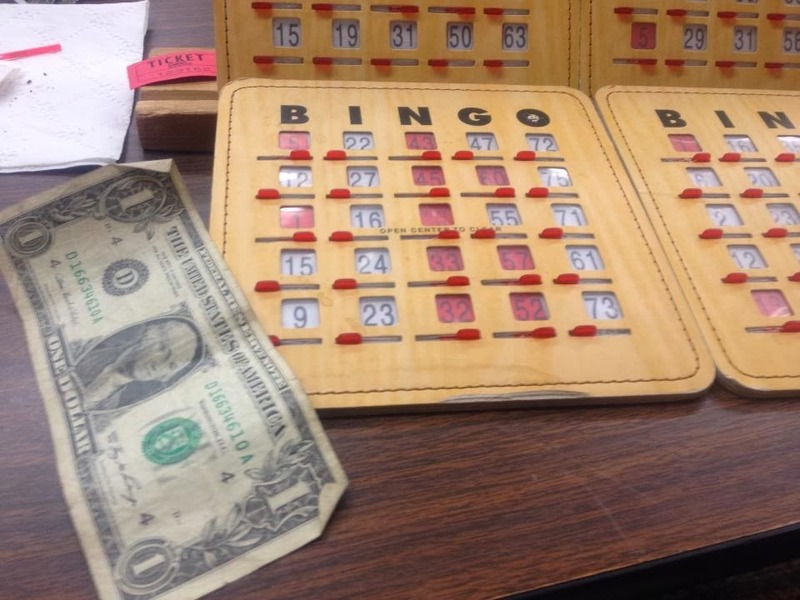 Anyhow, so I enjoyed playing bingo and visiting with him. I did get one bingo too! But 2 other people also won so I had to split it. I only got $1 haha. But it's ok. It was a nice evening. This couple sounds beautiful. I feel so badly for him. I don't know if I could rid all my spouses clothes right away either. I'd have to stand in the closet and smell them. As for those damn 10lbs....I decided last night that I have to get these damn 10lbs I gained over vacation OFF. So today I am in serious mode. No cream in my coffee....I hate black coffee but better than withdrawl symptoms I suppose.